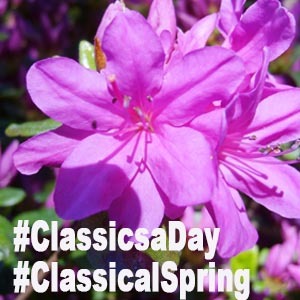 Classical Spring For January 2019 the #ClassicsaDay team made #ClassicalWinter then theme. It seemed only right to continue the trend and celebrate Spring. So for April 2019, everyone is encouraged to share classical works inspired by the season. 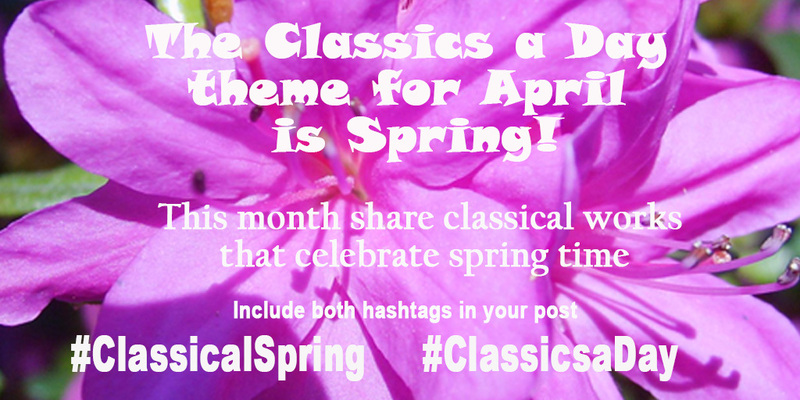 Here are my posts for the second week of #ClassicalSpring. Chinese composer Li Huanzhi compose the suite in 1955. It depicts the celebration of the Chinese New Year. The first movement is extremely popular in China and is known separately as the Spring Festival Overture. This aria appears in Act IV of Purcell’s 1692 opera, “The Fairie Queen.” It’s part of a birthday masque for Oberon celebrating the four seasons. Swedish composer Carl Hervelius was born in 1926. And that is all I could find out about him and this work! “O Primavera” is the ninth selection in Monteverdi’s Third Book of Madrigals. This 1592 work documents Monterverdi’s mastery of late-Renaissance polyphony — and foreshadows his transition to the Baroque.